A bizarre scene unfolded on a Texas highway this week when 40,000 pounds of avocados spilled onto the roadway. 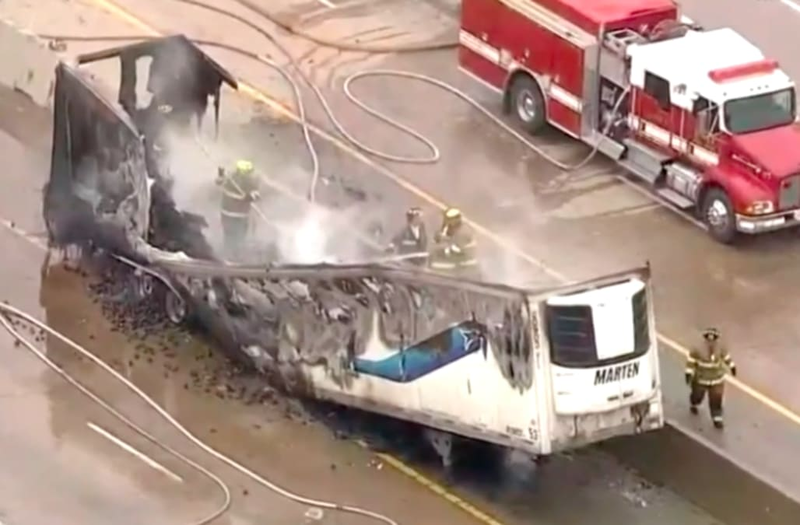 The massive shipment of savory fruit was being hauled in an 18-wheeler on Interstate 35E outside Waxahachie on Thursday when the truck burst into flames. Cameras on WFAA's HD Chopper 8 were rolling as the crates of avocados spilled all over the interstate while firefighters fought the blaze. The accident also snarled traffic on the busy highway. I-35E was closed for around three hours. No one was hurt in the accident, which authorities says appears to have been caused by a mechanical issue.